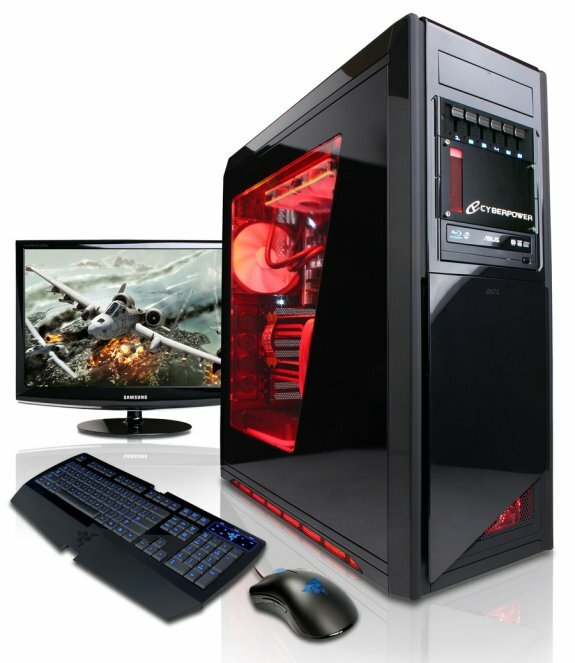 CyberpowerPC Inc. www.CyberpowerPC.com, a global manufacturer of custom gaming machines, today announced it will incorporate Intel's new Z77 chipset into its current lineup of desktop gaming PCs based on Intel's 2nd Gen Sandy Bridge processors. Starting today, CyberpowerPC customers can configure new desktop gaming systems based on the Z77 chipset motherboards from major manufacturers such as ASUS, Gigabyte, and ASRock. The Intel Z77 chipset, which offers advanced overclocking of the core; integrated USB 3.0 support, and maximum security will be available in CyberpowerPC's top-of-the-line Fang III Viper and Cobra models, newly launched Zeus 1000, 1500, 2000, and 2500 Thunder series as well as the Gamer Xtreme PC lines. CyberpowerPC's Z77-based models are targeted for performance enthusiasts who are looking for a more affordable solution. The Intel Z77 chipset allows overclocking of the core, as well as the graphics and memory frequencies. The chipset also supports Intel Smart Response Technology and Rapid Storage Technology, which dramatically increases system responsiveness (with support for SATA III 6Gbps) while combining the performance benefits of a solid-state drive with the storage capacity of a traditional HDD in a single drive volume. In addition to integrated support for USB 3.0 (which will be standard when Microsoft Windows 8 ships), CyberpowerPC's Z77 gaming systems are Lucid Virtu MVP ready. With Lucid Virtu MVP Hyperformance technology, users can enhance their performance by combining Intel onboard graphics alongside discrete GPU from NVIDIA and AMD. Price of CyberpowerPC gaming systems based on the Intel Z77 express chipset motherboards start at $709. All CyberpowerPC gaming systems can be customized with a number of performance hardware and components such as CyberpowerPC's Advanced Hydro Liquid Cooling kit, Solid State Drives, Blu-ray drives, performance gaming memory, gaming peripherals, business and productivity software, and more.